Leave it to the Orks to fight with a shield like this one! 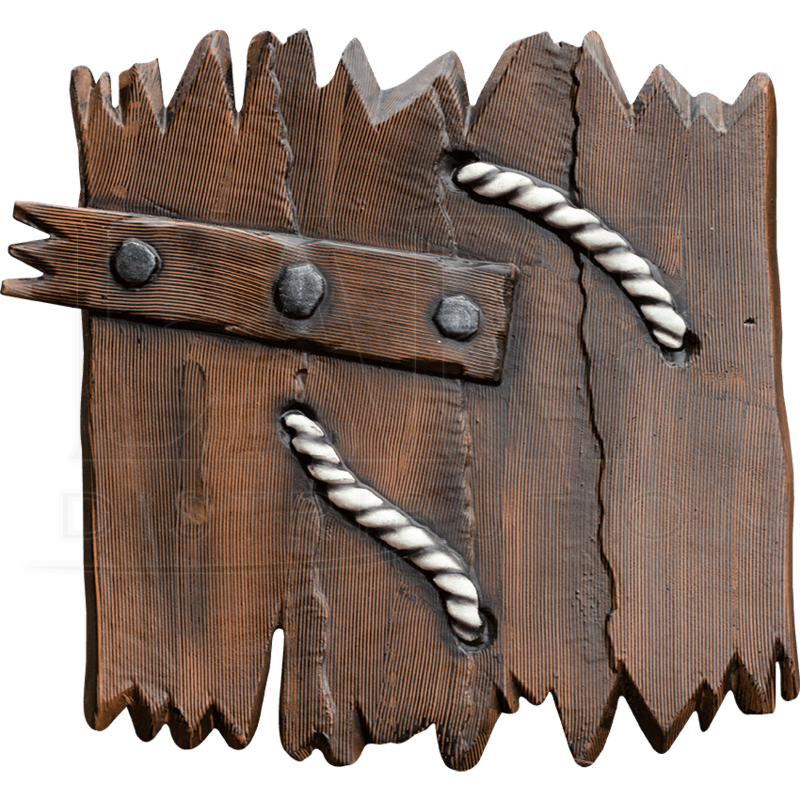 This LARP shield resembles old wooden boards nailed together to create a rustic looking shield. The grip is made from a handle and an adjustable strap that is built in to the frame, this allows for maximum shield control. The Woodgrain LARP Ork Shield is made from extremely durable foam that does not shred and sealed with a strong coating of latex. Safety is always an issue in LARP, which is why these have a round flexible fiberglass core with strong Kevlar core tip protection. This shield has a semi-vertical handgrip. This shield is best suited to be used on the left arm.